Ready to explore further? Contact your local Microsemi sales office today to find the right technologies and products for your test, scientific and measurement equipment designs. For RF test equipment, Microsemi offers MMIC products and rubidium miniature atomic clocks (MACs). Microsemi’s MMIC portfolio comprises broadband amplifiers (both power and low-noise), amplifier modules, prescalers, attenuators and switches spanning DC to 65GHz based on high-performance process technologies. Microsemi offers 18 distributed amplifier products including industry-leading DC-65GHz MMICs. Microsemi's prescalers combine higher frequency operation, the flexibility to divide by a large number of ratios and very good residual phase noise. Test and measurement applications, such as signal analyzers, automated test and frequency references, rely on an accurate and stable reference to serve as the internal reference oscillator within the equipment. However, historically the key challenges with integration of the reference oscillator were that accuracy and stability over temperature came at the expense of power dissipation and size. Enter rubidium clocks, which bring clock accuracy from parts per million (PPM) to parts per billion (PPB). For RF signal analysis, Microsemi’s rubidium MACs enable test and measurement equipment manufacturers to get accuracy and stability previously achieveable only with external rubidium clocks, at a fraction of the total cost, size, weight and power consumption. 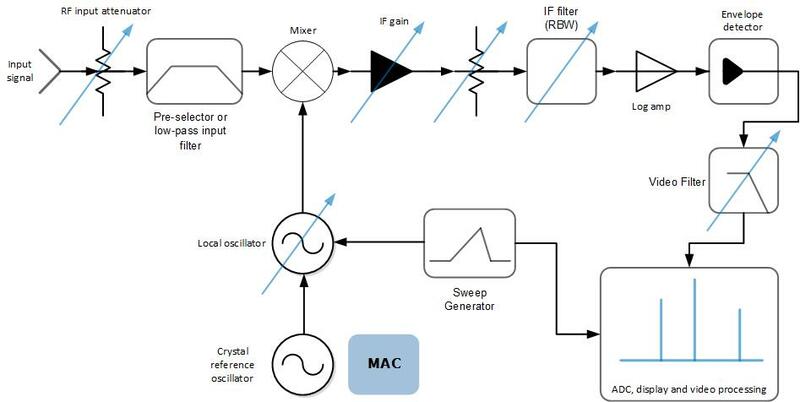 Delivering higher accuracy and stability than crystal oscillators, equipment using Microsemi's rubidium MACs require less frequent calibration. Additionally, Microsemi’s MACs can work in tandem with an OXCO for the best of both worlds: MAC stability and accuracy combined with OCXO phase noise performance. Power 5W @ 25oC ~10W ==> 2xMAC! Ready to learn more? Contact your local Microsemi sales office today to find the right technologies and products for your RF test equipment designs. 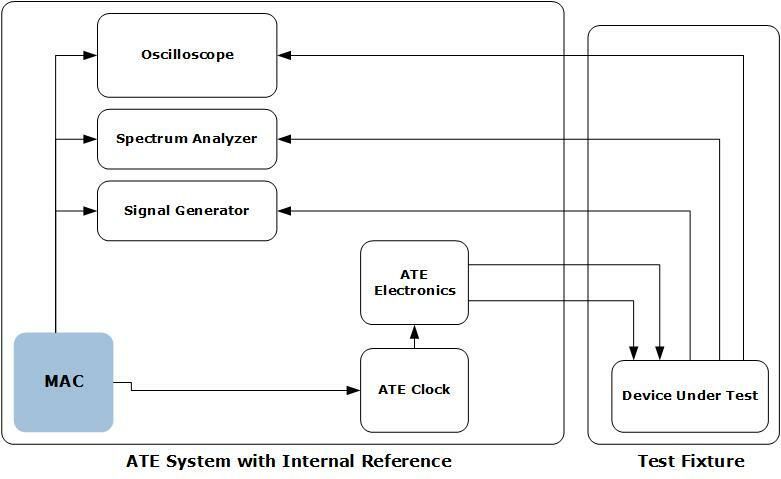 Automated test equipment (ATE) depends on having an accurate and stable internal reference oscillator within the equipment. With rubidium clocks, clock accuracy improves exponentially from parts per million (PPM) to parts per billion (PPB). Microsemi’s portfolio offer the smallest size and highest performance rubidium miniature atomic clocks (MACs) on the market. Consuming lower power than traditional rubidium clocks in more compact footprint, Microsemi’s MACs are ideal for your most rigorous ATE equipment designs. Explore our rubidium miniature atomic clocks (MACs) for automated test equipment. Ready to learn more? Contact your local Microsemi sales office today to find the right technologies and products for your ATE synchronization needs. When used in communications equipment, optical line drives integrated in optical modules, such as SFP or SFP+, together with an optical PHY. Test equipment manufacturers that test optical ports, however, tend to place the line driver and PHY on their own board, controlling the maximum possible amount of parameters in the design. Microsemi’s optical line drivers come in a liquid crystal polymer package, making them more resistant to humidity and warping. Further, our in house testing guarantees highest level of quality, following Microsemi's high standards. Explore our optical line drivers for test equipment. Ready to learn more? Contact your local Microsemi sales office today to find the right technologies and products for your optical test equipment needs.